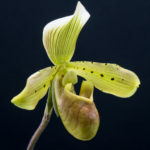 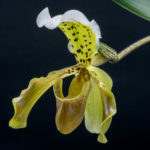 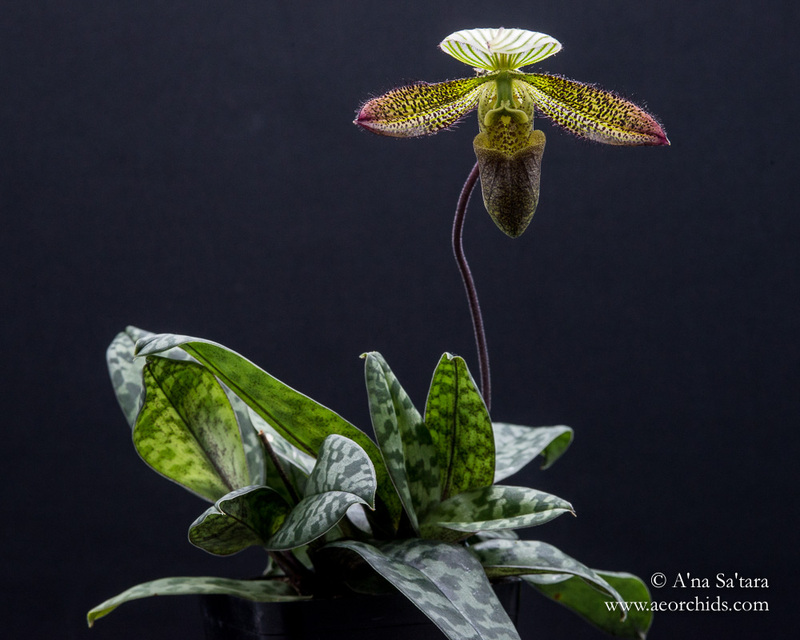 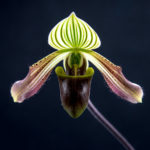 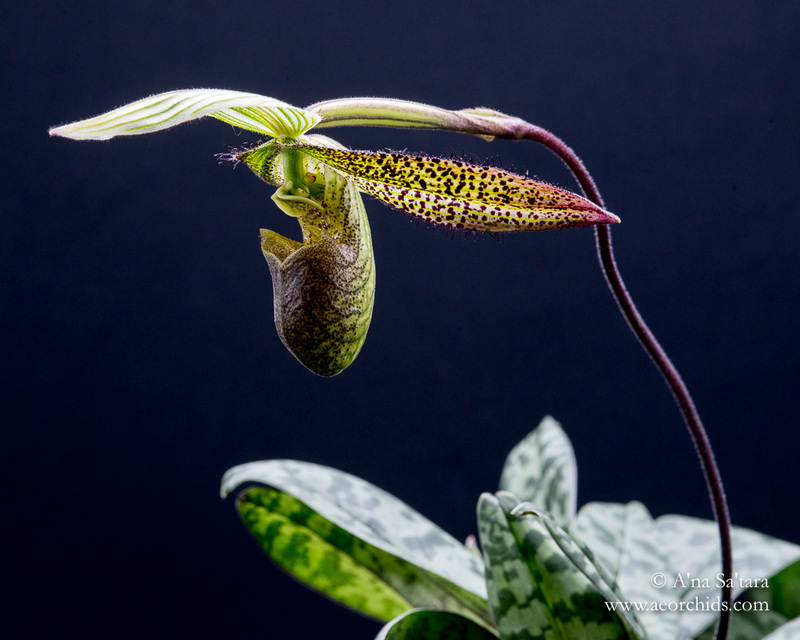 Paphiopedilum wardii is one of the cooler growing species within the “mottled leaf” foliage group of paphiopedilums. 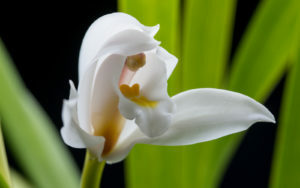 It is native to southwestern China and northern Myanmar, at elevations of 1200-1600m, and very rare and declining in its native habitat (75% population loss in the past 25 years). 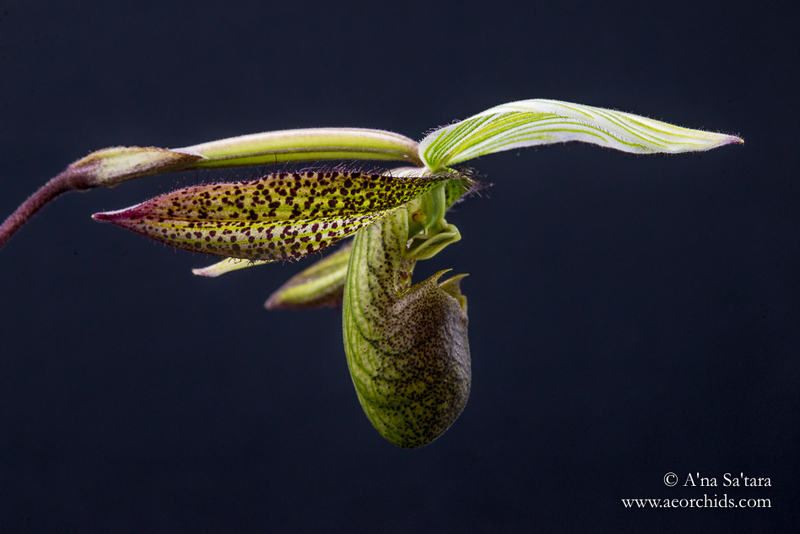 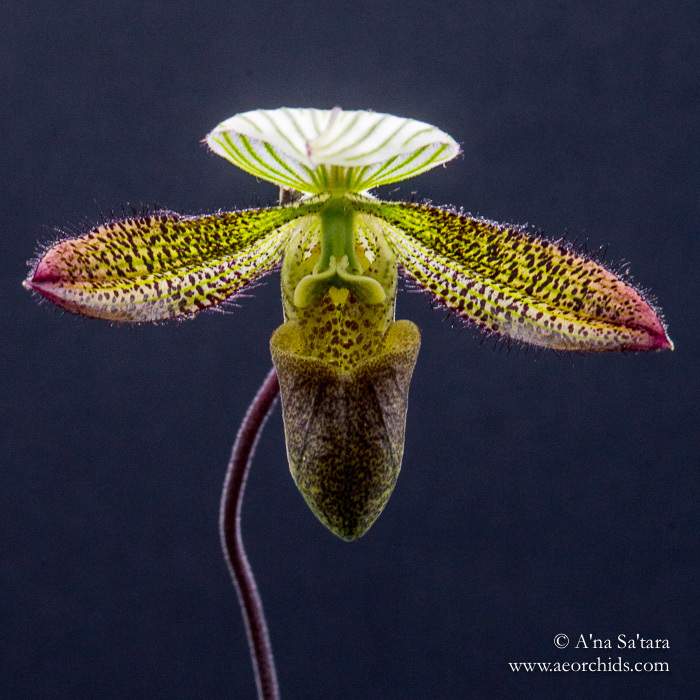 This plant is, of course, nursery raised (from the cross of Paphiopedilum wardii ‘Freckles’ AM/AOS x sib).